Mario Pilati’s career was very short: a rapid success, terminated too early by illness and a premature death. He was born in Naples on 16 October 1903. 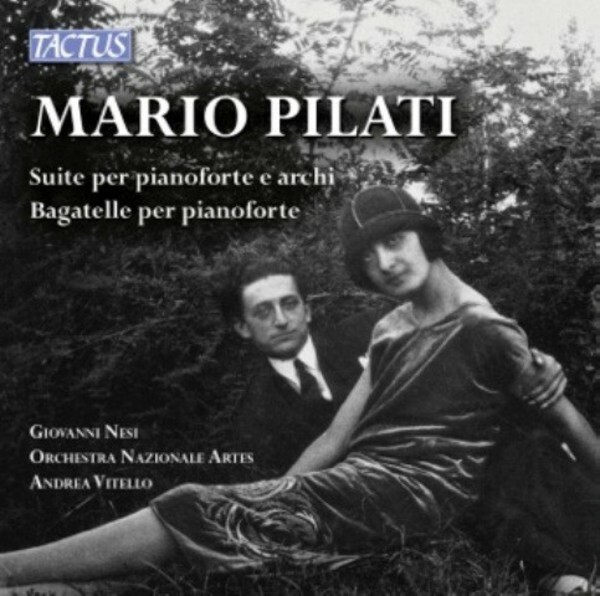 He started studying piano to fulfil his parents’ wishes as it was the custom of the upper class Neapolitan families that the education of the young included also the study of music. But his father, Antonio Pilati, did not want his son to become a professional musician, so he obstructed his studies and then his son’s career. At the age of thirteen, Mario already knew what he wanted: he was a gifted pianist in particular, and following his creative urges led him to write a lot of music instinctively, even before receiving lessons in composition. After two years of studies at the Musical Lyceum, he was admitted to the Conservatory S Pietro in Majella, attending the composition classes of Antonio Savasta, and in only five years (1918-1923) he achieved the Diploma in Composition. This is how Alfredo Sangiorgi, his schoolmate, remembers the years of study with the young Pilati: “Mario Pilati didn’t live his youth, his adolescence was lived among books: thirsty for knowledge, with his sharp intelligence he absorbed the most he could. Since those early years his culture was exceptional and not only his musical one. He reasoned about everything with the balance of an adult: prompt, witty, bright in conversations and in writing, his thought was always clear and precise, in school he preceded everything and everyone”.